We are proud to welcome Organic Earth Market on Quinpool Road as one of our latest DalCard vendors! You can now use your DalCard as a convenient form of payment when shopping for all your fresh food, body-care items, vitamins and much more. Dal Dollars, Bookstore Dollars, Food Bucks: Understand your various accounts. 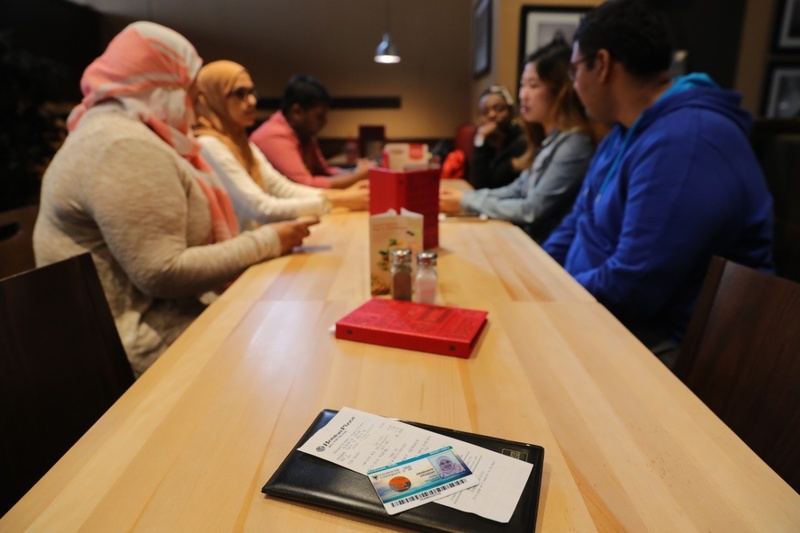 From on-campus dining to stocking up on supplies at one of the Bookstores, from printing your assignments to accessing your building, your DalCard is your all-access pass to campus life. 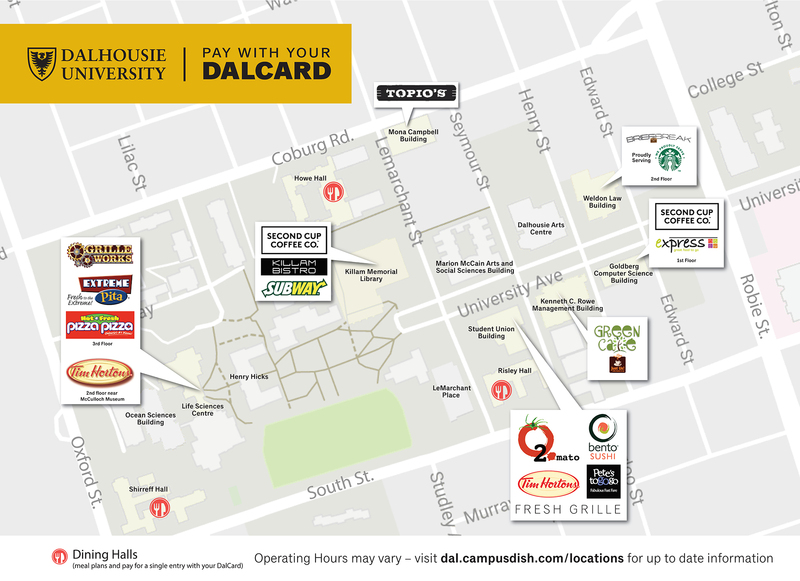 Use your DalCard at the following on-campus shops and services. For more information about your DalCard as your bus pass (UPass), visit the UPass website. Learning your way around the Agricultural Campus? You might find a campus food map and building directory helpful. Visit the Bookstore location in the Cox Building for textbooks, school supplies, DalGear, and more. Pay with your DalCard and earn 5% back on your purchases! You can also use your DalCard to make online Bookstore purchases. 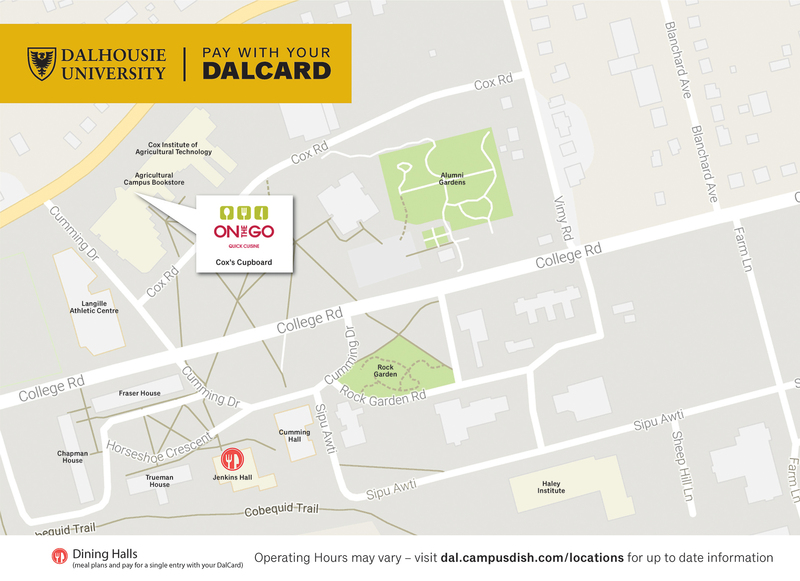 Your DalCard may also be your key to access your academic and/or residence building. Check your current access by logging in to your MyDalCard account. Click on Account and then Groups and Categories. Need access not currently on your card? You'll need your DalCard to sign out books from the MacRae Library. You can also use your DalCard to print and make photocopies at the library (main floor) - no coins needed!. Learning your way around the Carleton Campus? You might find a campus food map and building directory helpful. Your DalCard may also be your key to access your academic building. You'll need your DalCard to sign out books from the W.K. Kellogg Health Sciences Library. You can also use your DalCard to print and make photocopies at the library. 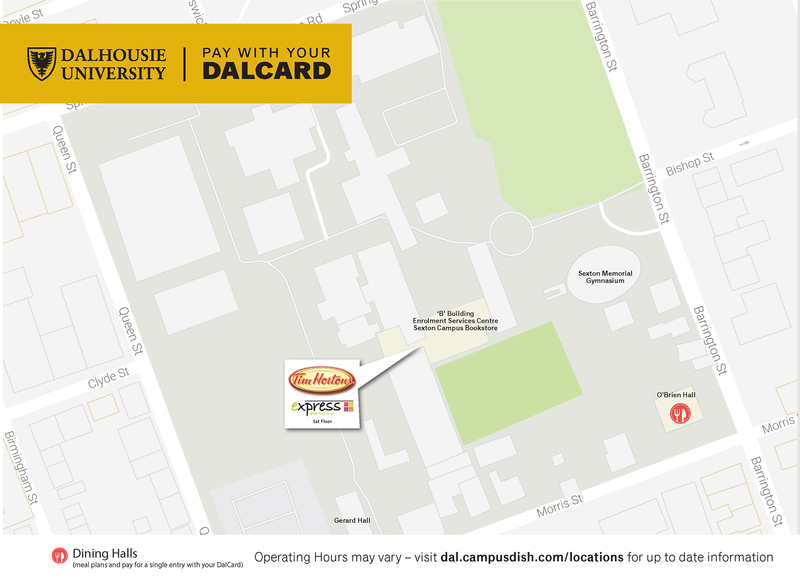 Use your DalCard to print and make photocopies at select printers on campus. Load money on your DalCard and give it a swipe - no coins needed! 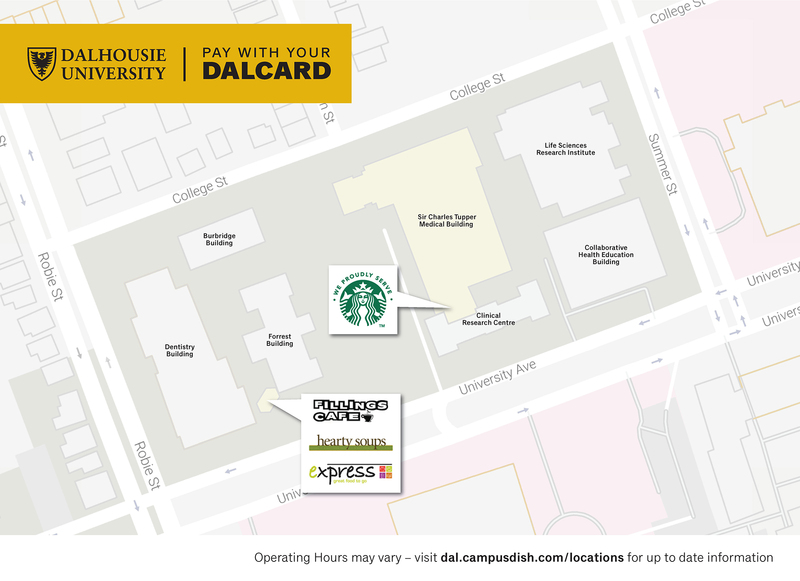 Use your DalCard for purchases on select snack and beverage vending machines. Load money on your DalCard and give it a swipe - no coins needed! Learning your way around the Sexton Campus? You might find a campus food map and building directory helpful. Have a membership to the Sexton Gym? Your DalCard will be your membership and access card. Visit the Bookstore location inside the Enrolment Services Centre in the B Building for textbooks, school supplies, DalGear, and more. Pay with your DalCard and earn 5% back on your purchases! You can also use your DalCard to make online Bookstore purchases. Living in Gerard Hall this year? Use your DalCard to pay for laundry in your building - no coins needed! You'll need your DalCard to sign out books from the Sexton Design & Technology Library. You can also use your DalCard to print and make photocopies at the library. Learning your way around the Studley Campus? You might find a campus food map and building directory helpful. Have a membership to the DalPlex? Your DalCard will be your membership and access card. Visit the Bookstore location on the ground floor of the Student Union Building (SUB) for textbooks, school supplies, DalGear, and more. Pay with your DalCard and earn 5% back on your purchases! You can also use your DalCard to make online Bookstore purchases. You'll need your DalCard to sign out books from the Killam Library and Sir James Dunn Law Library. You can also use your DalCard to print and make photocopies at the libraries. Several Halifax restaurants, grocery stores, pharmacies, and convenience stores also accept DalCard. See the full list of off-campus vendors.